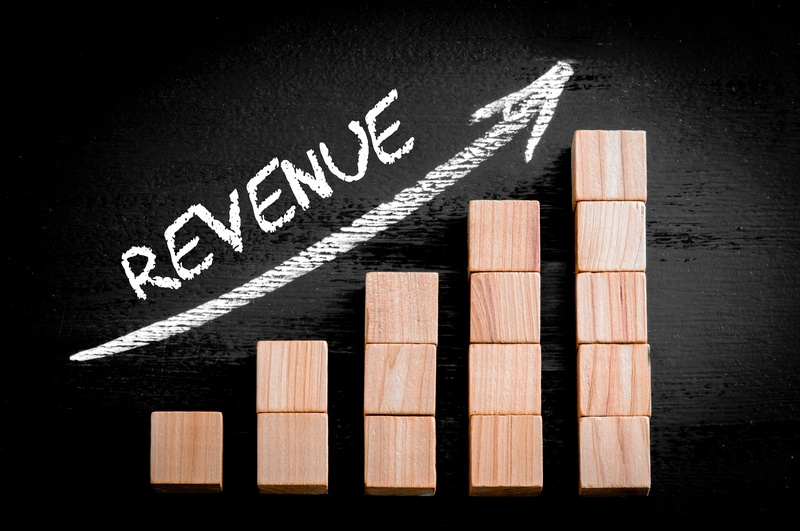 One of the biggest challenges in any industry is demonstrating closed loop reporting; how good, quality, strategic, marketing campaigns can impact bottom line revenue. 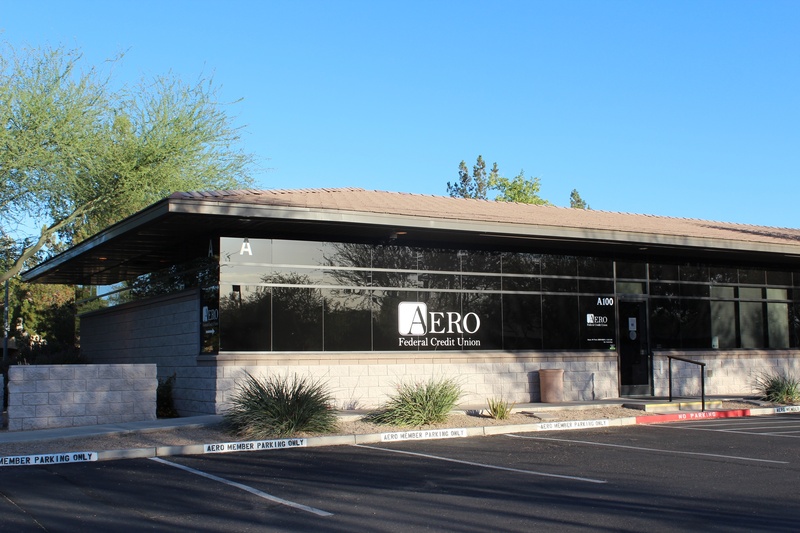 AERO's AVP of Marketing, Angie Avers, reviewed some loan growth statistics with us, and the results were definitely worth noting! 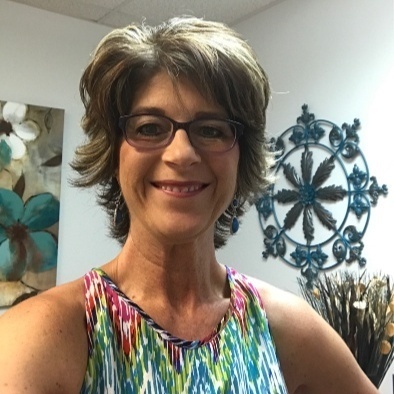 This case study continues to prove why Credit Union digital marketing cannot be beat! A 30 day email nurture campaign, combined with display ads and other marketing efforts, drove a 93% increase in Home Equity Loans year over year. Additionally, for every additional dollar spent on marketing the CU received $72 in new loans! During the first quarter of 2016 we assisted this CU's staff with an email nurture campaign consisting of 5 emails sent to their members about a new Home Equity promotion. These emails didn't just hawk the promotion, we designed the campaign and messaging to be much more authentic and trackable. Email #1 - Day 1: This first communication never mentioned any advertising or products, but instead linked to 4 blogs on the CU's website that might be useful to members considering doing work on their homes. It promoted the member service nature of the Credit Union and just shared useful and educational content. That's all! Email #2 - Day 7: We sent the entire list the next communication, a member testimonial email including a photo of the member giving his review. 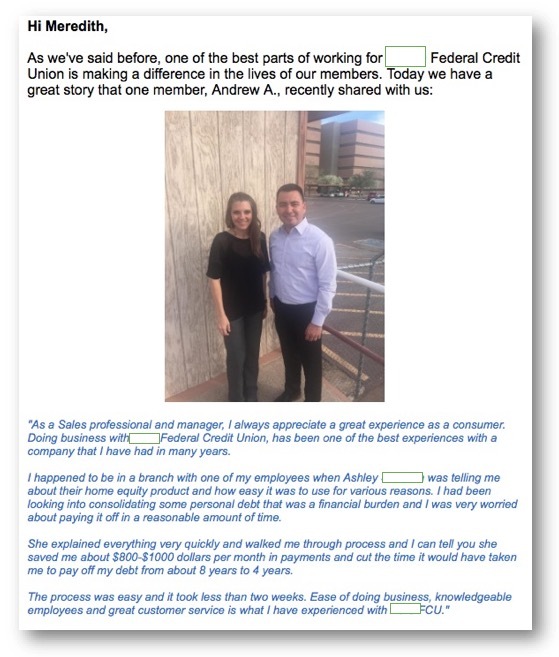 This second email linked to the promotion, but centered mainly on the member service aspect of the Credit Union and its mission. The testimonial is strong and was chosen to help support the ongoing Home Equity promotion. The testimonial also included an authentic image of the member, which provides more credibility to the content. Email #3 - Day 16: We sent the first real promotional email, with the subject line: "We Have Something Designed Just for You!" This was the first email which included product information, but also referenced a recent award the CU received for competitive rates and member service. All images were linked to various locations that provided promotion details, and all clicks were tracked automatically through the campaign email tool. Email #4 - Day 25: We sent our final 'blast' email to members on the list who had not acted on any of the Calls to Action (CTAs). Again stressing the member service mission, while also sharing the promotional details. During the campaign if a contact clicked through to learn more they were tagged. They were also given the option to ask to be contacted regarding the promotion, which also tagged them. We used both of these kinds of interactions to compile lists for member service/sales follow up. Email #5 - Day 31: Our last and final email was sent ONLY those contacts who had clicked through to learn more about the promotion or had indicated in past emails or via past surveys had indicated they were considering doing work on their homes. This segmented the list was much smaller and thus the engagement with it was more effective, it had a 39% open rate! 2018 UPDATE: In campaigns similar to the one outlined above, we've seen email open rates skyrocket to over 60% when segmented to people who have previously opened an email earlier in the campaign or clicked a link related to a specific product or service mentioned in other content. So with highly target campaigns the results continue to be proven out. By the end of May, compared to the same period in 2015, the Credit Union's Home Equity loans jumped by 93%. Additionally, for every additional dollar spent on marketing the CU received $72 in new loans! 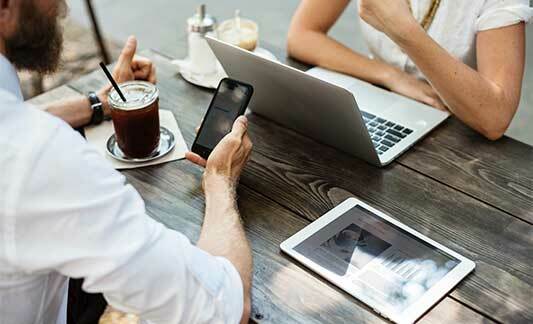 Now, not all of these results were tied directly to this email nurture campaign, as the promotion also included some online display ads, direct mail, press releases and in-branch materials, but clearly the campaign was a success by any measure. We do know the entire campaign drove 427 visits to a landing page designed specifically for this Home Equity campaign, where visitors spent on average 3+ minutes considering the promotion, all of which clearly impacted applications and loan revenue numbers. 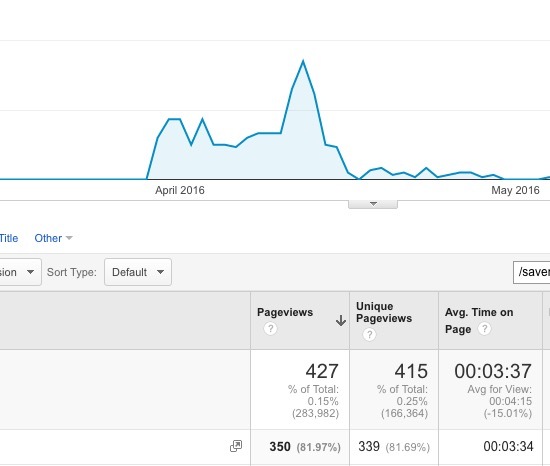 26 visitors from Facebook to the same Home Equity page landing page. Though this kind of web traffic might sound nominal, when efforts are highly targeted they are often more effective, even with smaller overall traffic numbers. And the revenue growth of $1.3 million is a testament to this being the case! At the end of the campaign what we can say for certain is that the right CU members were made aware of a great opportunity to leverage the eeqauity in their home thourgh a high quality marketing campaign, but the message was delivered in a more authentic way, with content that also focused on beneficial information and their experiences as members of the CU.